This will simply protect the baking sheet and make it easier to clean up. 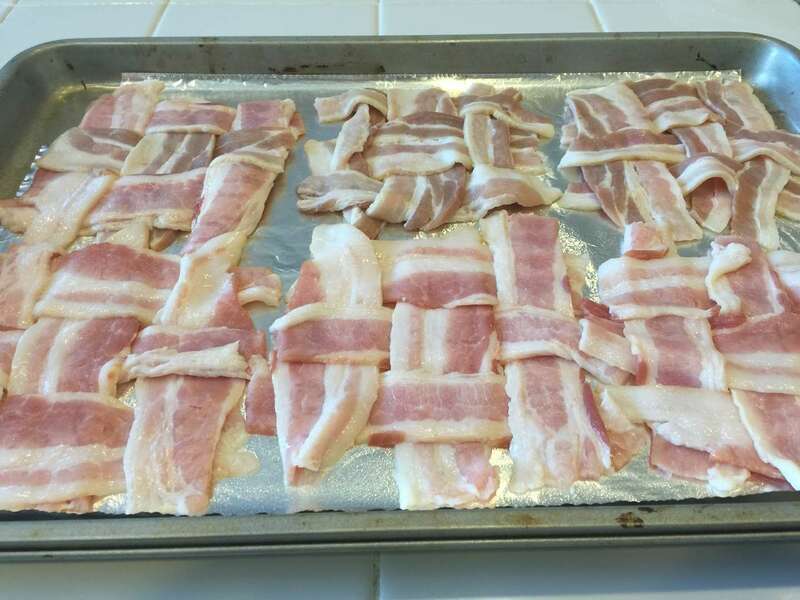 Using the technique below, weave the bacon together. When the oven is finished preheating and you've finished making the bacon patties, place the baking sheet in the oven. You are the ultimate judge of when your bacon is finished. 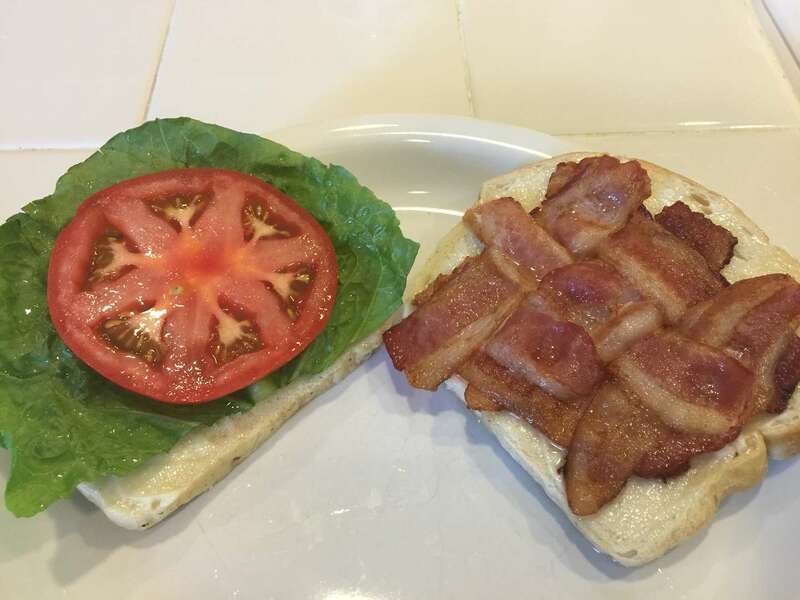 No one can tell you how to make the perfect bacon, so check the oven every few minutes and take it out once it's reached your desired level of crispiness. 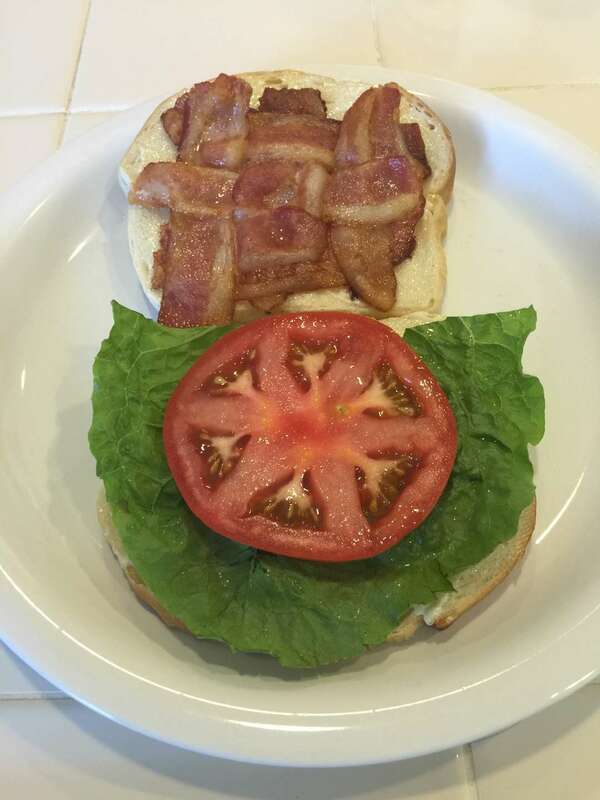 Mayonnaise is optional for a BLT, but mayonnaise is not optional for the perfect BLT.